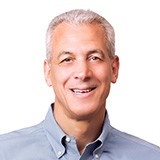 We are honored to have Bill Portelli (https://www.linkedin.com/in/billportelli/) to speak at this event. Bill is currently Managing Director at CEO Quest (http://ceoquest.com/), coaching CEOs of fast-growing technology companies in Silicon Valley. Bill also co-founded CollabNet (https://www.collab.net/) (creator of Subversion/SVN) and served as CEO and Chairman for ~15 years. Before CollabNet, he was a staff operating executive at both early-stage and $B+ companies alike. And like many of us, Bill started his career as an engineer. Other interesting facts about Bill: he was a Tech Pioneer at the World Economic Forum in Davos, and drove groundbreaking tech/business-wise system design strategies with the F-22 Program in the US Air Force.